One of the most coveted timepiece brands, Rolex, nothing quite heralds the arrival of a man than one whom has a Rolex on his wrist. 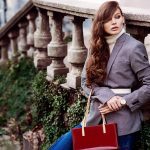 Today, Rolex is known among aficionados as the superior choice – it is the largest Swiss luxury-watch maker, and is almost completely vertically integrated. All the way down from smelting its own gold alloys and producing its own hairsprings. This control over production allows the brand to maintain extraordinarily high-quality control, which Rolex backs with a five-year warranty period on all of their new timepieces. Limited to only a few product lines, Rolex makes incremental improvements with each new model to ensure that each piece is the culmination of the advances from their predecessors. 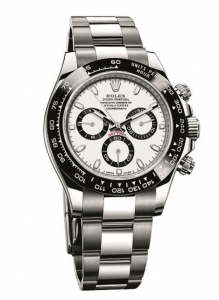 Below, we go over three fine additions that you should own in your Rolex collection. The Oyster Perpetual Rolex Deepsea is one of the world’s most coveted timepieces. The Deepsea was recently updated in 2018. The dominating 44mm timepiece now houses Rolex’s Latest energy-efficient Calibre 3235, and along with that it also has slimmer lugs, as well as a wider bracelet. 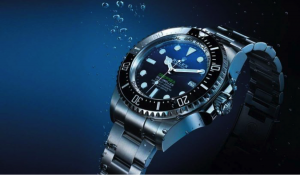 It might not receive as much press as the much more wearable – and, probably the much more useful – 40mm, multi-time zone, Pepsi-bezel GMT-Master II, but the Deepsea successfully demonstrates just how far traditional watchmaking can be pushed, while remaining relatively wearable. The Rolex Oyster Perpetual Cosmography Daytona is outfitted with Cerachrom bezels, which were first developed and patented by Rolex back in 2005. The numbers and markers, in this case, of the tachymetric scale, are engraved on Rolex’s own ceramic material, and the bezels are heated to temperatures as high as 1,500 degrees Celsius, so as to ensure that it hardens and purifies the material. The bezels are bombarded with platinum or gold which depends upon which model the bezel is being used for, of which coats the numerals and graduations. The excess platinum is removed by diamond-polishing. The end result is a virtually scratch-proof masterpiece. Those with a keen eye may at first glimpse at the image and think that Rolex is repeating its 2014 novelty. However, this is not the case. 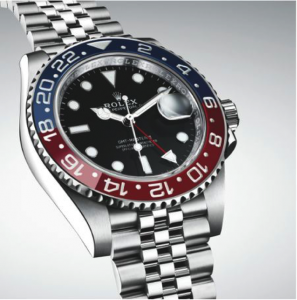 The new 2018 GMT-Master II, may have the same red and blue Cerachrom bezel, however, it is now in steel with a Jubilee bracelet. It also has a brand-new movement, the Calibre 3285, which utilizes Rolex’s Chronergy escapement. This allows for a fifteen percent gain in efficiency. It has 70 powers of power reserve and boasts 10 patents. Matheu’s Fine Watches & Jewelry has been providing quality products and professional services to the metropolitan Denver, CO area since 1951. The very first watch repair and service facility ever opened in Colorado. Dan Matheu, watchmaker, pioneered watch repair and services in Colorado. Today, Scott Matheu is at the helm steering Matheu’s Fine Watches & Jewelry. With his vision, Scott opened a watch store in Highlands Ranch and has made Matheu’s Fine Watches & Jewelry not only one of the largest watch stores to provide watch repair in Parker, CO but also the entire state. 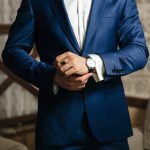 Whether you need watch repair in Parker, CO, watch engraving, or even if you have an antique watch that you would like appraised, you can count on Matheu’s Fine Watches & Jewelry to provide you with superior service each and every single time. All of our watchmakers are factory trained and we have CW21 Certified by the American Watchmakers and Clockmakers Institute (AWCI) on site. This certification has the most stringent standards for watchmakers performing repair, restoration, and service work on watches. With one of the largest service centers in the metropolitan Denver, CO we are not only able to provide watch repair in Parker, CO but to the entire 50 states as well.